Reps. Marcy Kaptur (D-OH) and Walter B. Jones (R-NC) moved immediately within the opening hours of the 113th Congress, to reintroduce legislation to revive Franklin D. Roosevelt's Glass-Steagall act. Kaptur's previous bill, H.R. 1489, had 84 cosponsors when the 112th Congress expired. The new bill, H.R. 129, is expected to rapidly gain even more overwhelming support. "To repeal certain provisions of the Gramm-Leach-Bliley Act and revive the separation between commercial banking and the securities business, in the manner provided in the Banking Act of 1933, the so-called 'Glass-Steagall Act', and for other purposes." The full text will be available soon. The bill has already been referred to the House Financial Services Committee. 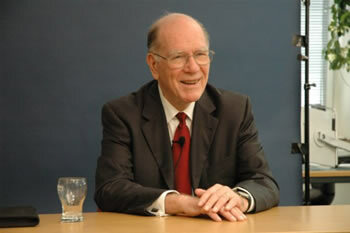 Lyndon LaRouche and his political action committee have identified the reinstatement of Glass-Steagall as the essential, immediate first step in rescuing the U.S. and global economy, from the catastrophes of hyperinflation and draconian austerity, to be immediately followed by the creation of a federal credit system linked to inaugurating major infrastructure projects such as the North American Water And Power Alliance (NAWAPA). We are in a countdown, before the hyperinflation set off by the bailout policies of the Federal Reserve and the European Central Bank, create an unstoppable crisis, LaRouche commented recently. Many leading bankers are fully aware that we are on the cusp of precisely such a catastrophe, which is why prominent bankers in London and elsewhere are now speaking out for Glass-Steagall. What they, and many in Congress, don't understand is that this emergency measure must be taken now, within weeks, in order to launch the crucial next steps of a recovery program: a credit system with funds dedicated to rebuilding the physical economy. Lyndon LaRouche PAC will be moving immediately not only for passage of H.R. 129 as an emergency measure, but for introduction of a matching measure in the U.S. Senate, where support is growing for the banking separation. Jan. 4 (EIRNS)—In the opening hours of the 113th Congress, Rep. Walter B. Jones (R-NC) took immediate action to try to block any action by the Executive branch to go to war, without prior consultation with Congress. Rep. Jones introduced House Concurrent Resolution 3, with the identical language to his HCR 107, which expired with the 112th congress with 12 cosponsors. "the sense of Congress that the use of offensive military force by a President without prior and clear authorization of an Act of Congress constitutes an impeachable high crime and misdemeanor under article II, section 4 of the Constitution." It has been referred to the House Judiciary Committee. Rep. Jones's sense of urgency on this matter was also reflected in an open letter he issued to President Obama on December 18, and announced in a Dec. 19 press conference, in which he and six other Congressmen strongly urged the President "not to once again lead our nation into war without authorization from Congress." We would like to remind you that the power to declare war remains vested in the Congress. No resolution from the United Nations or NATO can supersede the power carefully entrusted with the representatives of the American people. FLORIDA, December 28, 2012 — Lyndon LaRouche was a lightning rod of controversy 20 years ago. A perennial Democratic candidate for the presidency, LaRouche's economic and political views were intertwined in a philosophy that other Democrats derided as "fringe." A stint in federal prison took him out of the national eye, but LaRouche continues to share his views. Over the last several decades he has played an active role in forecasting financial trends, promoting the use of manufacturing technology, and emphasizing space exploration, among other things. In this first part of a candid interview, LaRouche explains how America can reclaim its economic vitality, discusses the limits of free trade, describes what might be done to reinvigorate the manufacturing sector, and much more. Joseph F. Cotto: America remains mired in the sluggish aftermath of the Great Recession. How do you think that our country can reclaim its economic vitality? 1. A most urgently needed return to a Glass-Steagall policy as such. While Glass-Steagall would end the hyper-inflationary drive which had been officially launched at the close of the Clinton Presidency, [it] must be recognized as being only an indispensable "platform," as for President Franklin Roosevelt, for eliminating the roots of the present hyper-inflationary spin which took over the control of the trans-Atlantic economies since about September 2007 in the U.S.A. itself. 2. We must return to the national banking policies which had been in force prior to the launching of the Andrew Jackson Administration, including the precedent of a Federal Credit System in force under President John Quincy Adams, a Federal Credit system which would be typified by the form of national banking credit for achievement of predetermined goals for specified future dates. This is the only basis for a present, actually physical-economic recovery of the United States presently. 3. There must also be special national projects typified by the fulfillment of the goals of NAWAPA, with the same general objectives of the NAWAPA of the late 1960s, but with adjustments for advances in technologies suited to the presently available technologies; that must be supplemented by special machine-tool design programs now urgently needed to bring the destructive rampage of the "68er" cultural trends under control, for the sake of return to a desperately needed real economy. Cotto: Prominent economists and politicians say that free trade will only benefit America in the long run. What are your opinions about this idea? LaRouche: They are repeating the same arguments which have failed our nation's economy at an accelerating rate, since the "68er" rampages, especially since 2007. All successful economies depend upon superseding the depletion of what existed in the past, by progress into the urgently needed future replacements, with better methods, and with superior technologies. Otherwise, we would plunge into the attrition and related decay which has plagued us since the end of the Indo-China war of the mid-1960s. Cotto: One of the reasons that the American economy consistently fails to emerge from the Great Recession is that it produces a decreasing number of material goods. What would you say can be done to reinvigorate our manufacturing sector? Honestly, is this even possible now? LaRouche: As I am certain that your circles are adequately aware, our chief economic problem has been the reversal of the principle of economic progress – actually at the accelerating rates prevailing since the aftermath of the assassination of President Kennedy. Without a correction from that trend now, trans-Atlantic civilization in particular is doomed: We are at the fag-end of our recent decades of foolishness. The loss of much of the machine-tool design capabilities which had been represented by the legacy of the machine-tool design-driven U.S.-built automobile, aircraft, and space potentials, since the virtual collapse of "Detroit," must now be replaced by "machine-tool design" programs for reviving and improving the technological improvements, programs on which we depend, absolutely, if any recovery at all were to be made possible. Cotto: Libertarian economic theorists tend to believe that trade deficits are of minimal importance. Do these deficits have a great impact on America's economy? LaRouche: What are sometimes mis-identified as being trade-deficits are actually the effect of collapse of technological progress. We need a "protectionist" policy of a certain, very specific type: scientific-technological progress, rather than the death of the former system of sovereign nations in western and central Europe. We must protect our economy's healthful scientific-technological progress. And, then we would have no continuing fear of "competition." Financial gambling will never be an actual substitute for science-driven economic progress. Cotto: During complicated times like these, robust national security policy is essential. While America can continue to build stronger relationships with proven allies, more should be done to prevent against domestic terrorism as well. What are your opinions on this most challenging matter? LaRouche: Speaking in broad terms, terrorism has never changed for the better since Adolf Hitler and kindred cases, and often for the worse, or even prospectively the worst. Indeed, the contemporary variety is even more genocidal in combined depth and scale than that of the Nazi regime's effect on Eurasia in World War II. As a virtually stateless Europe under the paws of a Tony Blair, have shown, as the cases of the trends in Portugal, Spain, Italy, and Greece. as also elsewhere in the "Euro" region, has shown us now. It is neither unfair nor "discriminatory" to point out that a Europe continued under the "paws of Blair" is already at the brink of something hitherto beyond previous notions of a modern Europe. Terrorism exists and spreads; who actually sponsors it? We urgently need stability in matters which Blair did much to destroy in Eurasia since his fraudulent pretext for the launching of the second Iraq war, and now threatens to bring among both the United States, and also throughout the world at large. We are presently hovering at the brink of thermonuclear warfare. Our United States, under the proper leadership, could stop this prevalence of such and related lunacy which threatens the entirety of civilization now. The final Labor Department monthly report on U.S. employment reported 155,000 net jobs creation in December after seasonal adjustment, with construction adding 30,000 jobs and mfg adding 20,000. The "official" unemployment rate went back up to 7.8%. The unadjusted figures show that there was a net loss of 243,000 in employment in December, about in line with the previous two Decembers and better than the three before that; and that total job creation for 2012 (not seasonally adjusted) is reported to be 1.8 million, about equal to the implied growth of the labor force for the year. The Bureau of Labor Statistics' summary report for the year gives a snapshot of the lost and discarded condition of the labor force. It grew by just 1.5 million in 2012; labor force participation fell by 0.4% over the year to 63.4%, which is 3.2% lower than 2007. The important ratio of employment to total population was unchanged for the year and is down a huge 5.0% since 2006, at 58.4%. As is well known, if the labor force participation rate were the same in December 2012 as when President Obama took office in January 2009 (65.7%), the December 2012 official unemployment rate would have been 10.7%. The number of officially unemployed Americans fell by about 750,000 during 2012, but the total "underemployment"—including those forced to work part-time and those who dropped out of the labor force within the year—is 23 million. If longer-term dropouts are included, and the unusual numbers of young potential workforce entrants who did not enter, the total is 27 million who actually cannot find work. The number of Americans not in the labor force (NILF) grew by 2.23 million in 2012, and by 10.3 million since 2007. For comparison, in the previous five years 2002-07, NILF grew by just half as much, 5.2 million. The average weekly wage is reported up by just 1.9% during 2012, so that real wages of those employed continued to fall. 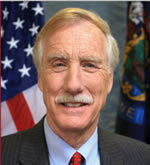 WASHINGTON -- Freshman Sen. Angus King (I-Maine) joined Sen. Elizabeth Warren (D-Mass.) this week in the fight to rein in the financial establishment. In an interview with Maine newspaper the Portland Press-Herald, the new lawmaker called for major structural reform to the American banking system. 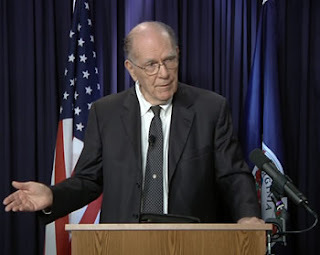 The fourteenth Friday webcasts by Lyndon LaRouche addressed to the American population. Don't miss LaRouche's paper published before this webcast, Obama and the Trojan Horse!, and LaRouche's statement Science as a Matter of Truth. I am writing to you to request that you add your name as a co-sponsor to H.R. 129, the bill to re-instate the Glass-Steagall law. H.R. 129 is the replacement in the new Congress for H.R.1489, which was introduced last spring by Congresswoman Marcy Kaptur (D-Ohio) and has Republican and Democratic co-sponsors. Glass-Steagall was law for 66 years until its repeal in 1999. Since then, the country has gone into an ever increasing financial spiral, which collapsed in 2007 and 2008, and a new spiral now ruining the nation. The bailouts to Wall Street have totaled $27 trillion or more according to reports from Neal Barofsky, former Inspector General of TARP, and have been used to prop up countless hundreds of trillions in derivatives and other Monopoly money paper. Re-imposition of Glass-Steagall will end this monetarist madness once and for all, and return the nation to a credit system. Under our traditional credit system, the government can issue credit to states to rehire unemployed, but urgently needed municipal workers, such as firemen, policemen, teachers, sanitation and others. We can immediately follow this, as was done to end the Great Depression in the 1930s, by emitting federal credit into the private sector and the states to launch urgently needed projects to reconstitute our national rail/power/water grid, creating millions of jobs in the process. I urge you to become a co-sponsor of HR 129. Please communicate your intentions on this to me as soon as possible. I enclose the Dear Colleague letter from Congresswoman Kaptur for your study. H.R. 129 Now has 2 co-sponsors. http://thomas.loc.gov/home/LegislativeData.php?n=BSS , under "Enter Search", select "Bill Number" from the drop-down list and enter "H.R.129" in the text field. 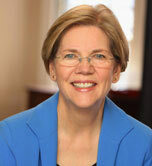 Latest Title: To repeal certain provisions of the Gramm-Leach-Bliley Act and revive the separation between commercial banking and the securities business, in the manner provided in the Banking Act of 1933, the so-called "Glass-Steagall Act", and for other purposes. Latest Major Action: 1/3/2013 Referred to House committee. Status: Referred to the House Committee on Financial Services. 1/3/2013: Referred to the House Committee on Financial Services.